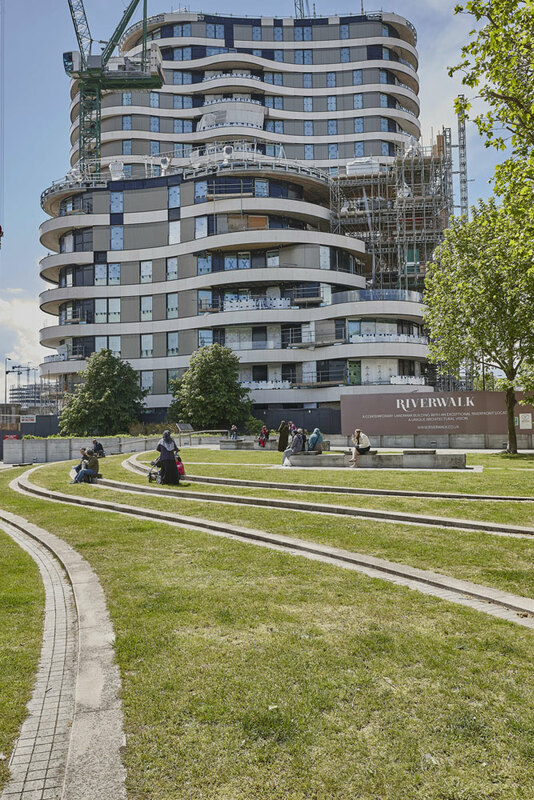 The Riverwalk development is a particularly luxurious project in one of the most prestigious locations in London, alongside the River Thames and Vauxhall Bridge. 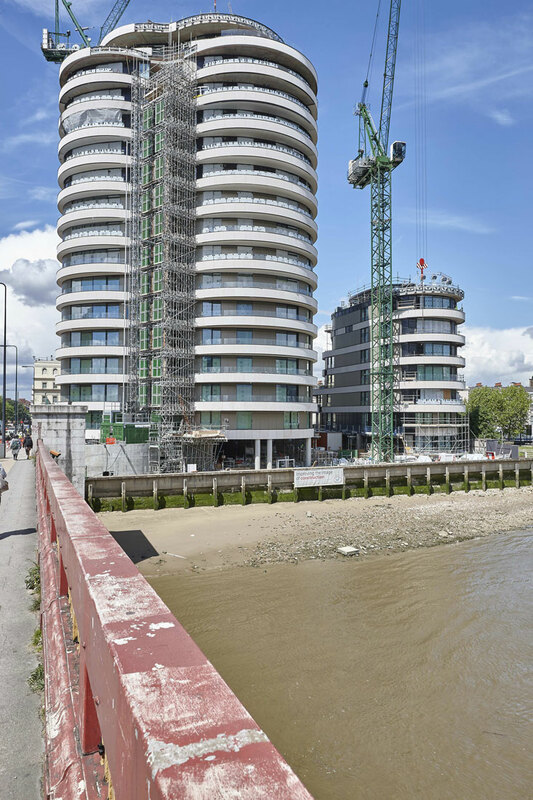 This construction photographer london shoot is directly across the Thames from SIS Headquarters (also known as MI6) at Vauxhall Cross. 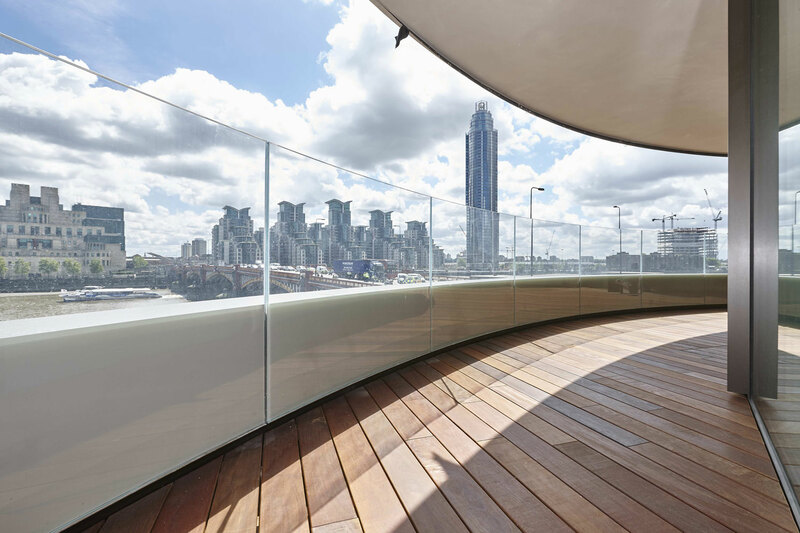 All apartments have a fleece membrane and resin waterproofing system applied to the concrete and all construction joints and casting joins below the solid teak hardwood decking on the balconies. 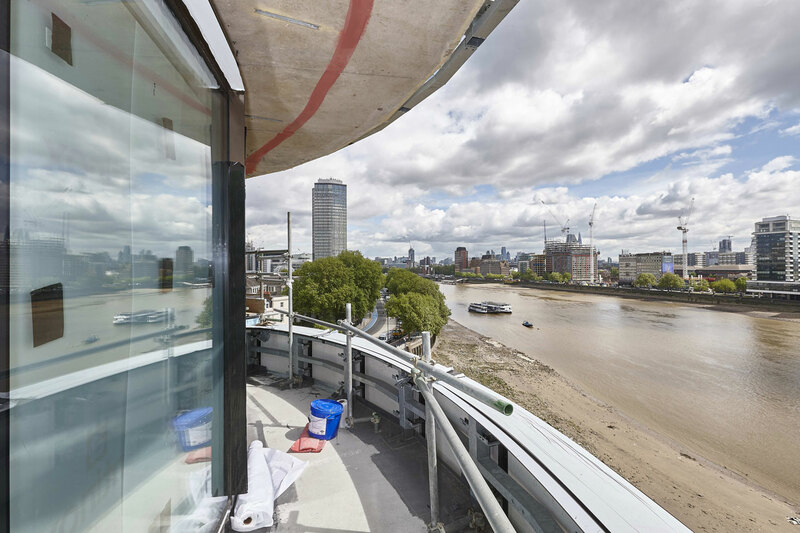 The project was used as the heavily CGI’d headquarters on a recent James Bond 007 ‘Spectre’ movie. 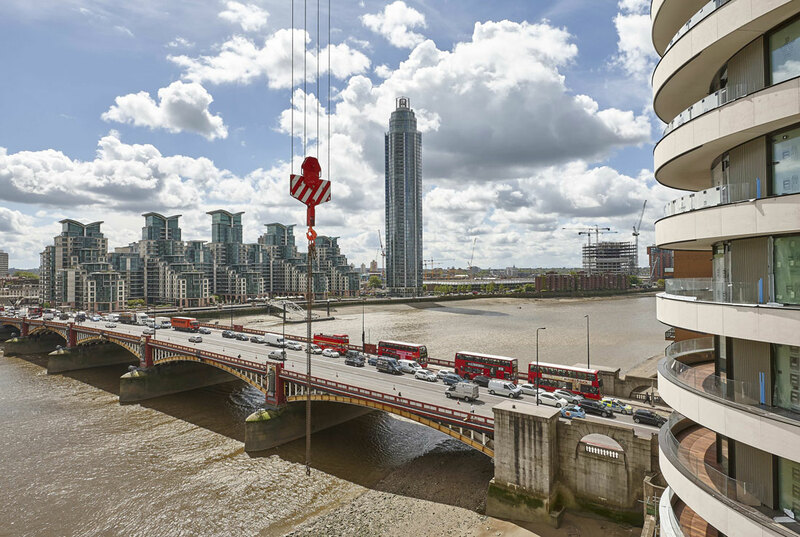 This shoot is a good example of the importance that correct digital photography equipment plays in construction photography. 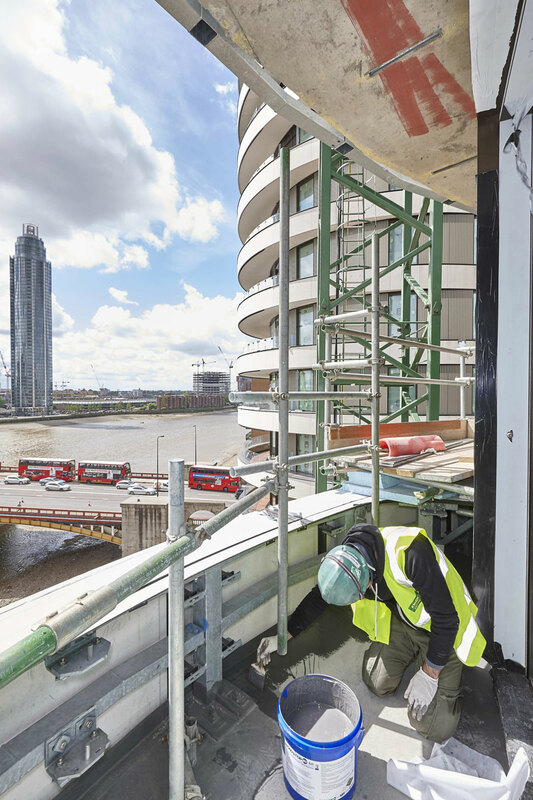 Working as a construction photographer london often results in needing to illustrate products or processes in tight spaces and challenging lighting conditions. This shoot required that the installer of the waterproofing system should be shown applying the product in a tight space. 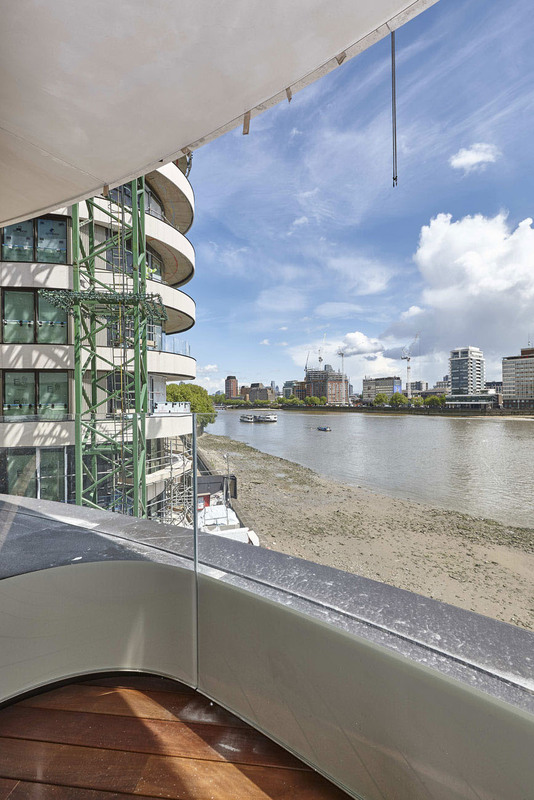 Winning construction photography demands wide angle lenses that allow key details to be captured and a large part of the scene to appear in shot without any image distortion. Familiarity with construction processes and just as important, construction site safety is important for construction photography. 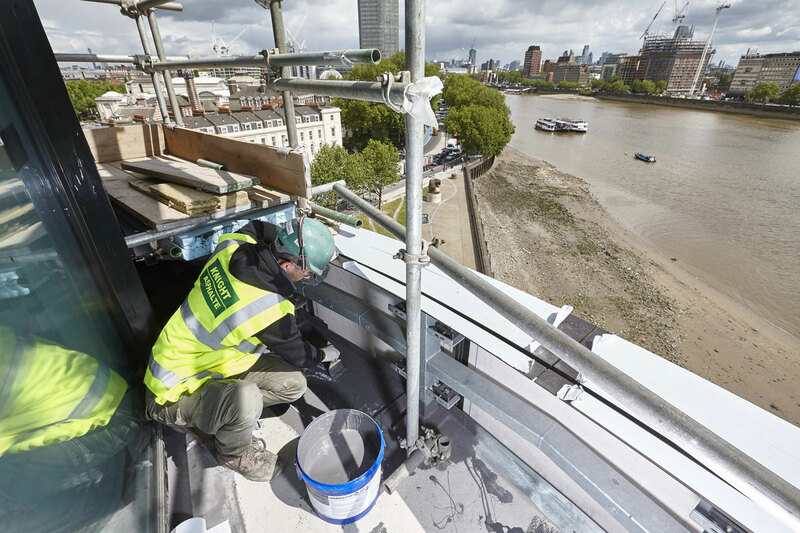 Construction site management need to be reassured of a construction photographers construction site experience. Full CSCS accreditation forms part of this reassurance however 20 years of visiting construction sites and working with construction site professionals is also key.